Applications for CBR Moot financial assistance now open! 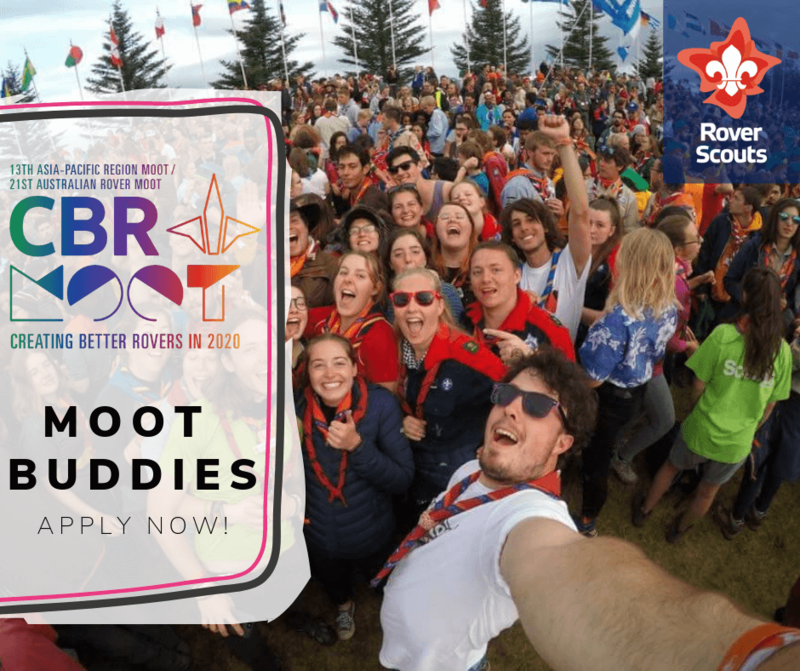 Moot Buddies is a financial assistance program, run by the National Rover Council to provide help to Rover Scouts who under other circumstances would not be able to attend a National Rover Scout Moot due to financial restrictions. The Moot Buddies Scheme is only available to Australian Rovers. International applicants may refer to the Scouts Australia International Office for other funding opportunities. The applicant is a current registered & financial Australian Rover within their Branch. The applicant must not have previously been funded through the Moot Buddie Scheme. The extent that the applicant is actively involved in their Rover Crew‘s program. b) The contribution to the community (either inside or outside of scouting) the applicant has made in the last 12 months. The degree of financial hardship the applicant would face in attending the National Moot if supported through the Moot Buddies Scheme. Complete a Moot Buddies Application Form. Discuss with your Crew Leader or Rover Adviser and have your application endorsed. Application is assessed and endorsed by Region Rover Council/Community Chairperson (optional). Application is assessed and endorsed by Branch Rover Council (BRC) Chair. Application is submitted to the NRC Vice Chair.